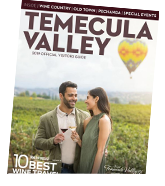 Visit Temecula Valley announces the 2019 Festivals & Special Events Calendar, including Temecula Valley Balloon & Wine Festival, Old Town Temecula Rod Run, Pechanga Wine Festival & Chocolate Decadence, and CRUSH Wine & Culinary Showcase. Welcoming nearly 3-million visitors each year, the casual picturesque Temecula Valley is located 60 minutes from San Diego, Orange County, and Palm Springs; and 90 minutes from Los Angeles. Visitors may want to wrap midweek getaways around one of Temecula Valley’s festivals or special events to enjoy less-busy weekdays. Sunday-through-Thursday stays offer appealing nightly room rates. Winter sunny days offer panoramic views often of snow-capped mountains that semi-circle the valley. The popular boutique destination enjoys a welcoming climate even in winter with 68o F / 20o C average-high, January-February daytime temperatures. The month of January is celebrated as Restaurant Month throughout the state of California. Temecula Valley’s program features regional chefs putting forward their favorite menu items, creating a “Best of the Best” theme. Restaurants participating in Temecula Valley Restaurant Month are located in Temecula Valley Wine Country, Old Town Temecula, and Pechanga Resort Casino. Throughout January, diners get the chance to try the best Temecula Valley chefs have to offer. The Annual Barrel Tasting event on January 26 & 27 offers ticket holders a self-guided taste and tour of Temecula Valley wines. Attendees enjoy unfinished barrel and tank wine samples, as well as finished and newly released wines. Perfectly paired food sampling compliments the wines at each stop. A single-day ticket allows tastings at up to 18 wineries, or a two-day ticket includes up to 30-plus wineries. Love and wine country romance are celebrated daily throughout the month of February with special hotel-resort packages and a variety of activities. Romantic dining with sweetheart menus for two, couple massages, hot air balloon flights, and wine tastings provide special moments to say I love you. Visitors during Springfest experience the picturesque valley awakenings from the first bud break to green and lush vines after winter rains. Wild lilac blossoms and wildflowers blooming make for scenic hikes. The valley’s crisp, cool morning air is often lined with thick mist until the late morning sun breaks through. More than 600 of the finest pre-1974 classic vehicles, hot rods, and custom cars, as well as tens of thousands of auto-enthusiasts converge in Old Town Temecula for the Temecula Rod Run on March 1 & 2. A Friday Night Cruise includes hundreds of vehicles from across the country revving their engines down Old Town Front Street. Saturday is the Show-and-Shine, this is when spectators can look under the hoods and inside the cars for a close-up look. Friday, March 1 Chocolate Decadence includes wine vendors pouring their signature blends and varietals, and Pechanga pastry chefs create hundreds of elegant and extravagant chocolates and desserts. Saturday, March 2 is the Pechanga Wine Festival, featuring hundreds of wines, gourmet food samples and dessert. There is also live music and a silent auction. Tickets are available for one or two days of the 11th Annual Chocolate Decadence & Pechanga Wine Festival. Guests enjoy sampling food from 50+ local restaurants and specialty food vendors, award-winning wines of 12+ wineries, and craft beers from 10+ microbreweries at Town Square Park in Old Town Temecula at the Taste of Temecula Valley on April 26 & 27. The event begins Friday evening with a VIP dinner and concert, Saturday will feature menu selections from participating restaurants, wineries, craft breweries, and specialty shops. One of the west coast’s finest, features concerts with top bands on April 12-14. Bands include Gone Tomorrow, Grasslands, MohaviSoul, The Salty Suites, Bluegrass Brethren, as well as many others. 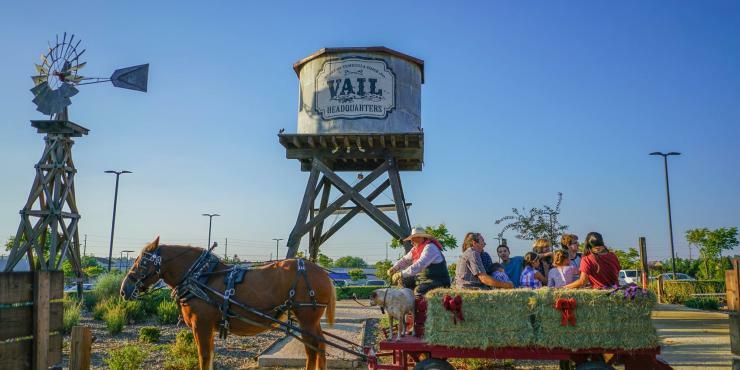 Camping, jam sessions, vendors, and performances are all part of the experience at the Temecula Valley Bluegrass Festival. 120+ reality show contestants from 40+ TV shows converge for events, greetings, and competitions in the Amazing Race style game at Reality Rally on May 2-4. Saturday evening features a Celebrity Chef Competition. The event starts Thursday evening with a Lip Sync Showdown, Friday is a Reception Fundraiser, Saturday is the “Amazing Race” game, followed by a Celebrity Chefs Showcase that evening. The summer months are the busiest time of year for tourism so be sure to book your reservations early. Popular activities include hiking, ballooning, golfing, and horseback riding. 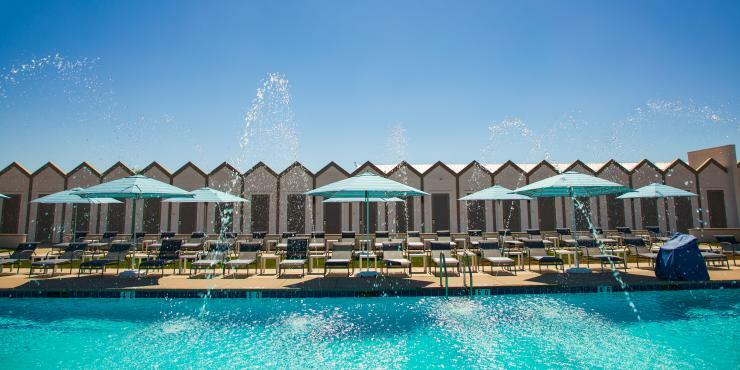 For visitors staying at Pechanga, guests can enjoy The Cove, a 4.5-acre pool complex, with private cabanas available by reservation. In addition, BOTTAIA Winery has a pool experience in the vineyards, along with a poolside café and cocktail bar and lounge-side service. Reservations are available for private cabines, chaise lounges and pool chairs. Launching the first days of summer is the Temecula Valley Balloon & Wine Festival, the valley’s premier event. Held at Lake Skinner on May 31 – June 1, the colorful celebration features sunrise ascensions, dramatic evening balloon glows, wine tasting, food and wine pairings, and chef demonstrations. Live entertainment fills the stages throughout the day, with top name bands every evening. The Microbrew Craft Beer & Chili Cook-Off Festival in June includes more than 30 types of beer tastings to a background of live music and entertainment. The chili samplings are from Pechanga chefs who are competing for the best chili at their annual cook-off. This event is only open to 21 years and older guests. Live entertainment from intimate acoustic performances to 4,000-plus seated headline concerts fill the summer months with music at Pechanga Resort Casino, Temecula Valley Wine Country, and the Old Town Live weekend series. Shakespeare in the Vines performs the works of William Shakespeare in among the vines at Baily Vineyard & Winery. Performances run from June 6 – September 21 and include Sense and Sensibility, Measure for Measure, Othello, and Comedy of Errors. The fall season brings an end to grape harvest and a changing of colors in the vineyards. Days are golden and sunny and the night skies are clear for star viewing. The autumn months celebrate the season with wine-centric events as well as fun family festivals. The month of September is celebrated as Wine Month throughout the State of California. Temecula Valley’s celebration includes a special Temecula Valley SIP passport that allows visitors to taste a variety of award-winning wines at a discounted price. Additional visitor experiences include dining at Temecula Valley winery restaurants, vineyard and winery tours, and behind-the-scenes wine tours. Temecula Valley winery owners, winemakers, and growers invite the public to join them in celebrating California Wine Month at one spectacular, wine and culinary event on Saturday, September 28. Attendees enjoy culinary creations from local restaurants while sipping Temecula Valley wines and meeting the winery owners and winemakers. Late September through the end of October, the Peltzer family shares their love of farming with the public at this annual festival. They offer visitors a look at their vintage John Deere tractor collection, kiddie rides on their 12-passenger train, petting farm panning for gem stones, pumpkin picking, and more harvest fun. Adjacent to the farm is Peltzer Family Cellars, when the parents are ready to sip some wine. September 28 through October 5, artists can be sighted throughout Old Town painting “en plein air” (in open air) on the scenic streets of Old Town Temecula’s historic district. The technique is known as being favored by great impressionist painters such as Monet and Renoir. The Old Town Temecula Outdoor Quilt Show will display strikingly colorful, grand country charm, handstitched quilts on Saturday, October 5. Along six blocks of Old Town Front Street, hundreds of handmade quilts made with thousands of yards of patch-worked fabric hang from banisters and along storefronts. The festive celebration also includes small quilts available for purchase at the Town Square park, a Valley of The Mist Quilters guild boutique at the Temecula Civic Center, and a large quilt auction. Big Horse Feed’s original 11-acre cornfield maze is Southern California’s largest, authentic, cornfield maze. Visitors discover and experience the challenges of the multi-path puzzle of pathways lined with 7-foot tall cornstalks. Additional on-the-farm activities include hay wagon rides, corn cannons, pumpkin bowling, and so much more throughout the month of October. 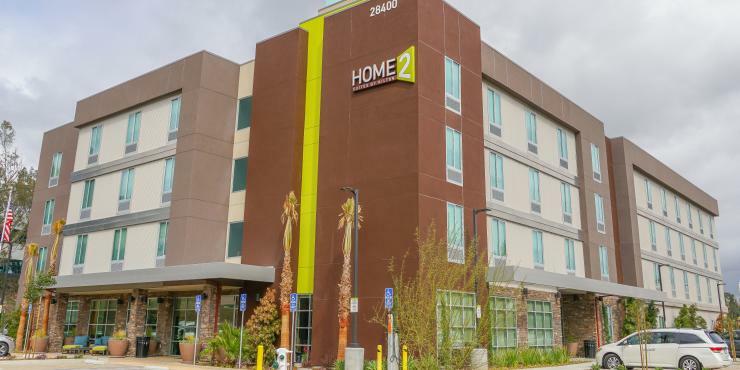 Modern, busy couples, families, and friends are discovering that holidays like Thanksgiving are a perfect time to connect, reunite, and escape in Temecula Valley. Special weekday nightly room rates make arrival several days and nights before November’s hallmark holiday very appealing. Revel in less-busy weekdays to explore Old Town Temecula, Pechanga Resort & Casino, and Temecula Valley Wine Country. Several winery, Old Town and Pechanga Resort Casino restaurants offer set holiday menus. Temecula Chilled encompasses the beauty of all the twinkling lights, outdoor skating rinks, and special Temecula Chilled beverages and foods. Activities also included are The Magic Snow Flurry show at Promenade Temecula, Santa’s Electric Light Parade, Holiday Taste of Old Town, Pennypickle’s Winter Wonderland with tons of real snow, and the New Year’s Eve Grape Drop. Pechanga will showcase freshly baked gingerbread houses and live holiday entertainment. Highlights will also include signature wine and live music events at the wineries, and gala New Year’s Eve celebrations in Wine Country and at Pechanga. Modern, busy couples, families, and friends are discovering that holidays like Christmas Eve and Christmas Day are a perfect time to connect, reunite, and escape in Temecula Valley. Visits with Santa and special menus at Temecula Valley restaurants (in Temecula Valley Wine Country and Old Town Temecula and at Pechanga Resort & Casino) make for a memorable holiday meal, lively conversation, and celebratory toasts with Temecula Valley premium varietal, proprietary blended, and sparkling wines. Live bands and family activities are at Temecula Civic Center in Old Town Temecula. Old Town restaurants offer special New Year’s Eve menus, plus more music, entertainment, and celebrations. The signature occasion of the Old Town festivities is the Temecula Grape Drop from the City Hall clock tower. East Coast (9pm Pacific Time) and West Coast (midnight Pacific Time) countdowns are preludes to the descent of the grand, illuminated, grape bunch. With more winery restaurants than any other California wine region, the talented chefs at Temecula Valley winery restaurants pair stellar, seasonal menu offerings with Temecula Valley premium varietal wines. Wineries also host memorable New Year’s Eve galas with dinners, music, dancing, countdowns at midnight, and sparkling wine toasts to greet the new year. With multiple mega-celebrations that rival Las Vegas and a variety of amazing festivities property-wide, this is the biggest New Year’s Eve party under-one-roof. For New Year’s Eve and New Year’s Day, an estimated 75,000 people will descend upon Pechanga Resort & Casino to bring in the new year. *Information is believed accurate but may be subject to change. For a complete, daily Temecula Valley Events Calendar, please see VisitTemeculaValley.com. Laid back, picturesque Temecula Valley Southern California Wine Country welcomes nearly three million visitors each year. It is a year-round vacation destination, located 60 minutes from San Diego, Orange County, and Palm Springs; 90 minutes from Los Angeles. Temecula Valley Wine Country is widely recognized for its scenic vineyards, award-winning wines, and experiential wineries. The popular boutique destination includes the Temecula Valley A.V.A. (American Viticulture Area) as well as historic Old Town Temecula, and Pechanga Resort Casino. 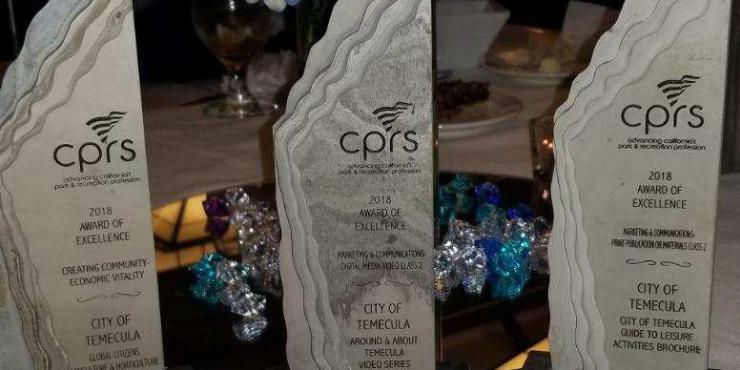 It also was named as a 2019 Wine Enthusiast 10 Best Wine Travel Destination. Visit Temecula Valley is the region’s official tourism marketing organization and resource for visitors. The Visitors Center is located in Old Town Temecula. For visitor information and assistance, please call (888) 363-2852 or go to VisitTemeculaValley.com. If you see, hear or read about Temecula Valley, chances are it originated from Annette. When not pitching stories, she’s is often traveling around Temecula Valley showing media the amazing people and places that make the destination an unforgettable experience. Nearly 30 years, Annette has been working in public relations and marketing. Annette joined the Visit Temecula team in 2011 and is the Director of Public Relations.